I love Los Angeles, no question. The weather is great, despite being a huge City, there is a chill vibe and there are some really good gold courses in Los Angeles. Of course, most of them are outside the city limits (LACC notwithstanding). During the just past Memorial Day, I knew golfers would be chomping at the bit to hit the links so I decided to get the heck out of Dodge in order to play some golf and do it in under 5 hours. 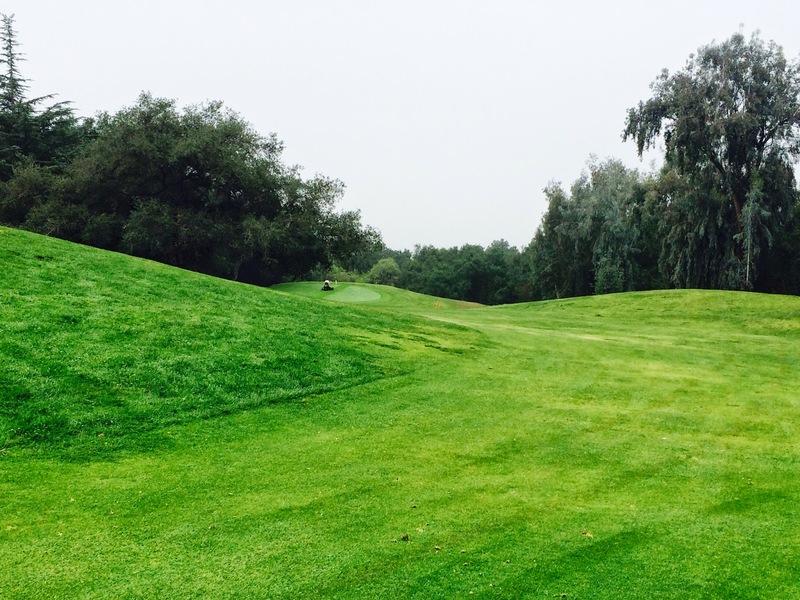 Enter, Marshall Canyon, a wonder course nestled in the foothills of Eastern Los Angeles county. 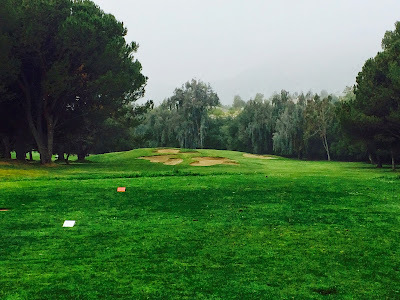 There are actually three golf courses packed in to the town of La Verne but with MC being the remotest of the three I decided to try my luck there. almost every par 3 is seemingly over a ravine and the greens are really sloped so you always have to aim for below the hole. Also, deer... lots and lots of deer. The course keeps you on your toes and keeps it visually stimulating (although the back 9 can get a bit side-by-side parklandy) and I was a fan by the 8th hole. I mean look at that hole above what great choices you have! Try to hit a high draw around the trees or aim for a bunker and fade it right to avoid trouble? Choices, MC will give them to you. I became even MORE of a fan when the golf gods smiled upon me on the 9th hole. Driver smashed to the left, hits a tree and kicks out to the middle of the fairway with 160 to the hole. 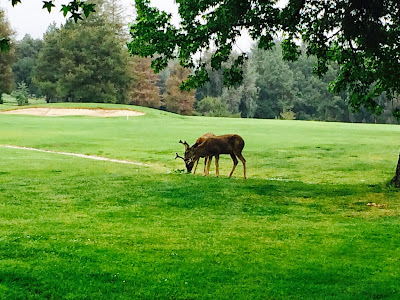 With the guy mowing the green watching me (I was out early), I stuck a 6 iron to about 18 feet. Missssssed the birdie putt by about 6 inches and tapped in for par. What a hole! So much fun and you know the gods want to keep it that way. 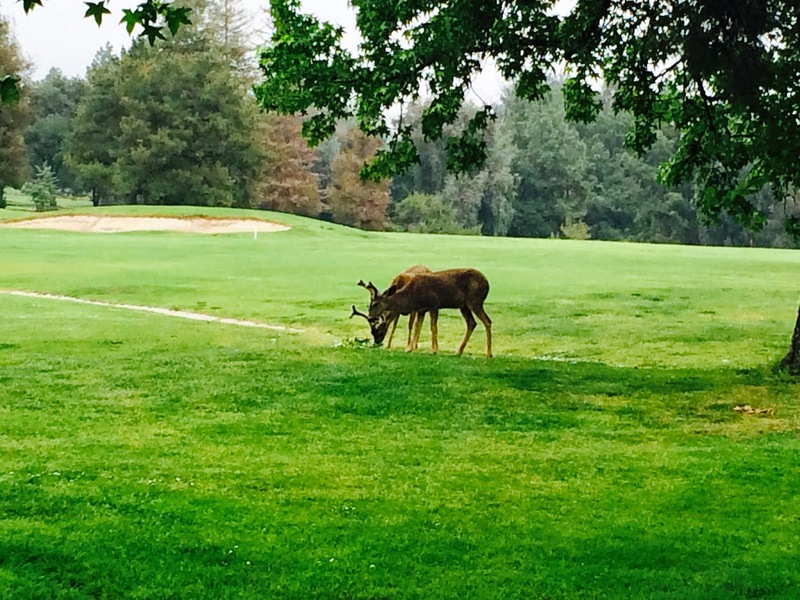 If you want a laid back, quick round of golf which is intriguing to play and want to pet some deer, I suggest checking out Marshall Canyon. Its a bit of a hike from LA but well worth the drive.